These compact plants bear large sprays covered with plentiful small flowers. The clear blue color is unique in the plant world. 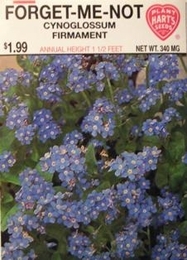 Forget-Me-Not is excellent for use in borders, rock gardens, and pots.